Extremely sturdy and authentic looking, this lighted stable presents the perfect backdrop for the remarkably intricate figures and animals of this timeless nativity set. Every Christian home should have a creche displayed during the Advent and Christmas seasons, and this set is one to be treasured. The light that shines into this stable creates a heavenly sense upon the scene and is sure to awe those who see its display. 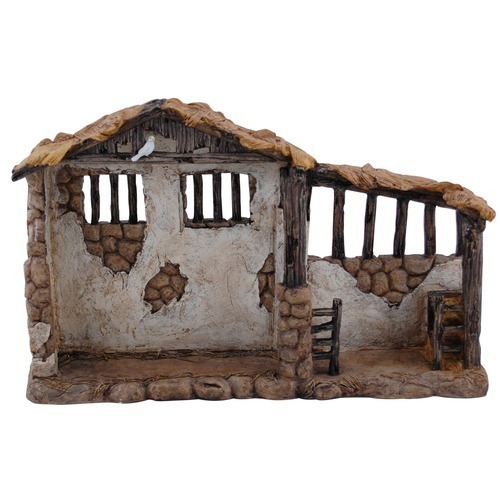 Be sure to add this true representation of the stable of Christ's birth to the Real Life Nativity for a complete set for your home.